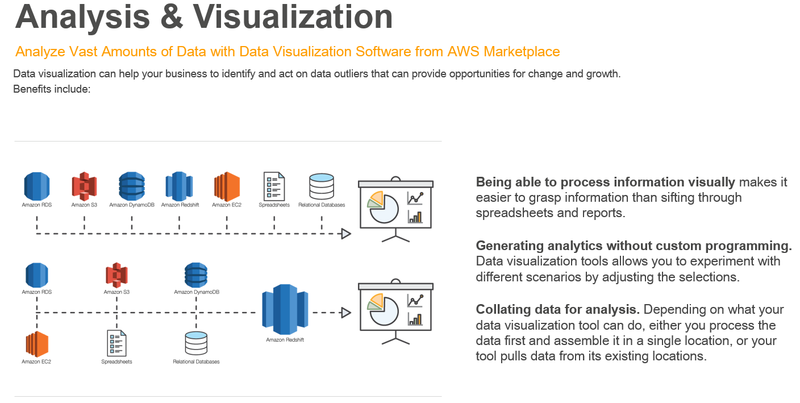 Using data visualization software from AWS Marketplace can help you easily analyze the vast amounts of data your business collects and generates. Additional benefits include. Being able to process information visually makes it easier to grasp information than sifting through spreadsheets and reports. Generating analytics without custom programming. Data visualization tools allows you to experiment with different scenarios by adjusting the selections. Collating data for analysis. Depending on what your data visualization tool can do, either you process the data first and assemble it in a single location, or your tool pulls data from its existing locations. Looker for AWS allows anyone in your business to quickly analyze and find insights in your Redshift and RDS datasets. By connecting directly to your AWS instance, Looker opens up access to high-resolution data for detailed exploration and collaborative discovery, building the foundation for a truly data-driven organization. To help you get started quickly, the Looker for AWS license includes implementation services from our team of expert analysts. And throughout your entire subscription, you'll receive 100% unlimited support from a live analyst using our in-app chat functionality. 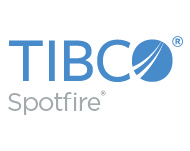 TIBCO Spotfire is a complete analytics solution that helps you quickly uncover insights for better decision-making. Explore, visualize, and create dashboards for Amazon Redshift, RDS, Microsoft Excel, SQL Server, Oracle, and more in-minutes. Easily scale from a small team to the entire organization with Spotfire for AWS. Includes 1 Spotfire Analyst user (via Microsoft Remote Desktop), unlimited Consumer and Business Author (web) users, plus Spotfire Server, Web Player, Automation Services and Statistics Services.